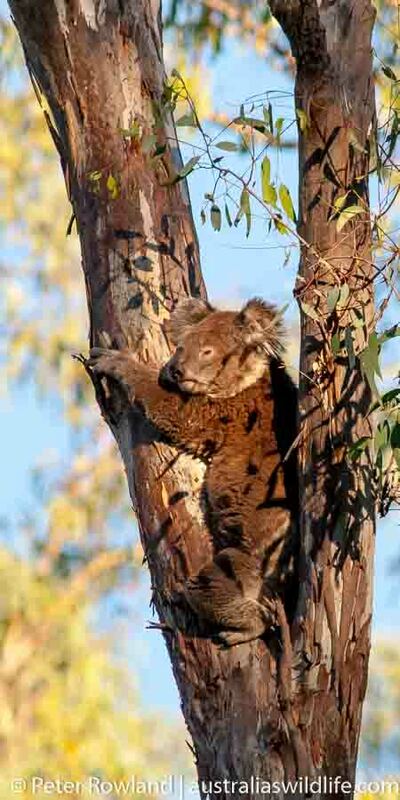 We headed to some prime Koala country in the central west of New South Wales. After a stormy night, we set off early in the morning to try and find this famous marsupial which, along with the Kangaroo, is one of Australia’s most iconic animals. 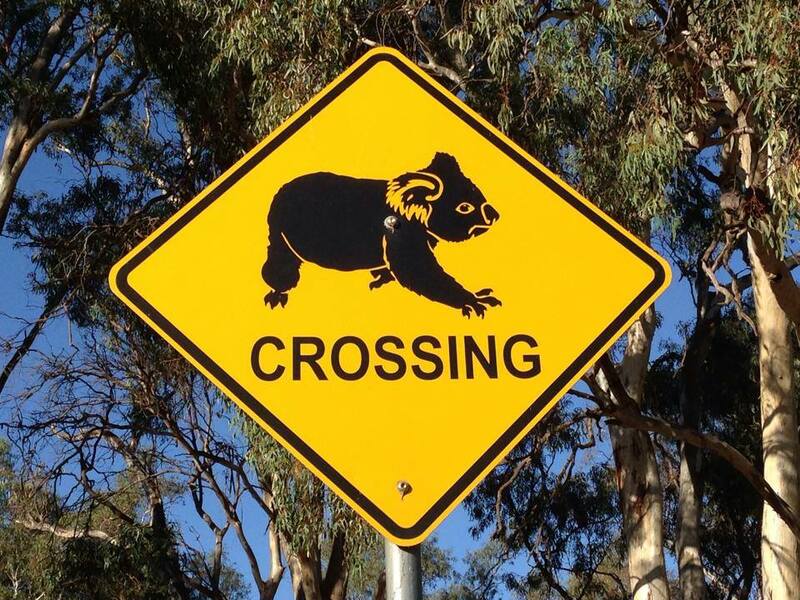 The Koala is listed as vulnerable in New South Wales, so we were determined to find a place where you can go to and be almost certain to see one or two of them. 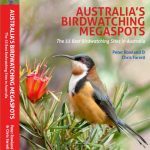 Even in areas where they are find, these awesome animals are incredibly hard to spot, as they tend to spend most of there time snoozing high up in a Eucalypt. After only a few minutes of leaving the car, however, we were rewarded with our first Koala sighting for the day. 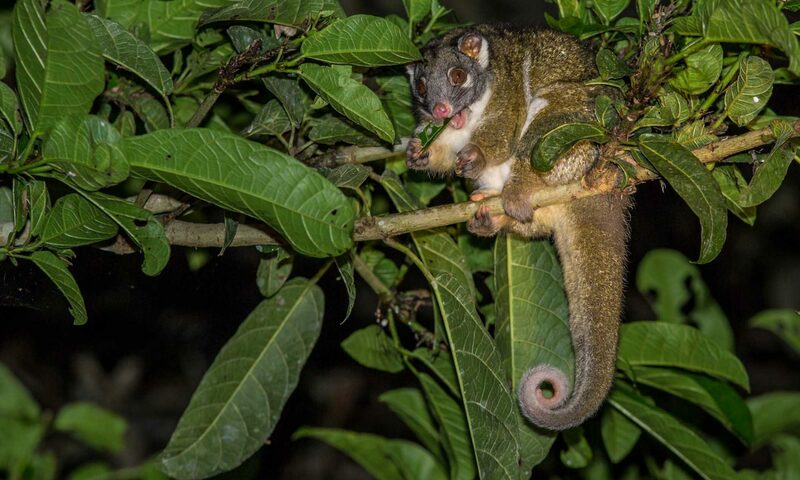 It was resting in the fork of a Eucalypt, around 10 metres above the ground. After another hour of searching we found another two Koalas, one of them we located after hearing its unmistakable grunting call. When we reached the tree where it was calling from it decided to take that moment to go to the toilet! When a baby Koala is born it weighs less that one gram! After its birth, this tiny baby must climb through what must seem like a forest of fur to the safety of its mother’s pouch by itself. Once inside the pouch it fastens on to its mother’s teat, which gives it the food that helps it grow for the next 6-7 months. Baby Koalas are not born with the gut flora that they need to digest the gum leaves that they will feed on after this time. 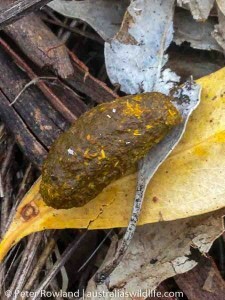 Their mother must pass these micro-organisms on to the young Koala by producing a special type of faeces (poo) call pap. Pap is not hard like the dropping in the above image, it is soft and runny – yum! [Data courtesy of Save the Koala].